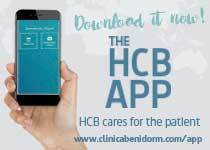 HCB Jalón is a consultation specializing in Family medicine that Hospital Clínica Benidorm has created in the heart of the Marina Alta for National and foreign patients. Dr. Tanya Álvarez directs this clinic and attends to all day to day health problems of every family member. Dr. Tanya Álvarez specializes in family and general medicine and speaks Spanish, Norwegian, English and Portuguese. She also has the help of auxiliary nurses who enable her to offer complete attention to German and Dutch patients. 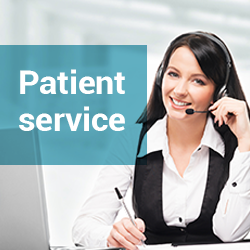 This service responds to our strategy to bring the health infrastructure of primary care to the residents of the two Marina areas and on this occasion, to the residents of the inland towns which are more isolated from the large city centres. 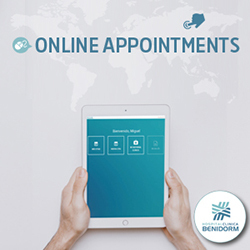 The clinic of Family medicine in Jalón is supported by the inpatient centre of Hospital Clínica Benidorm, as well as the radio diagnosis unit and the medical specialties of HCB Calpe Internacional and HCB Asistel Moraira.